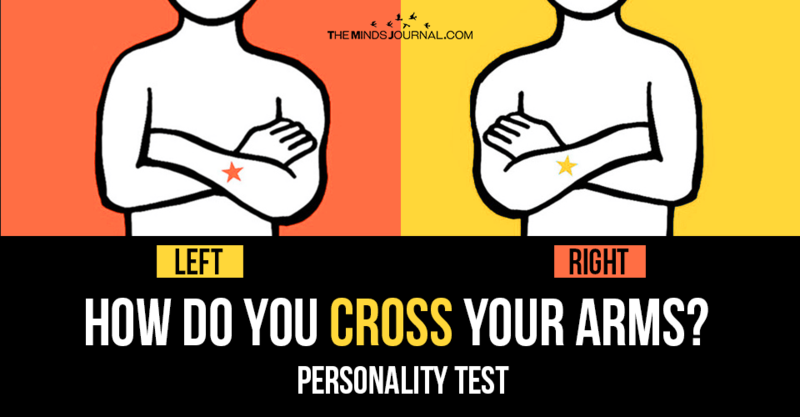 The way we cross our arms can reveal a lot about our personality and our thinking. 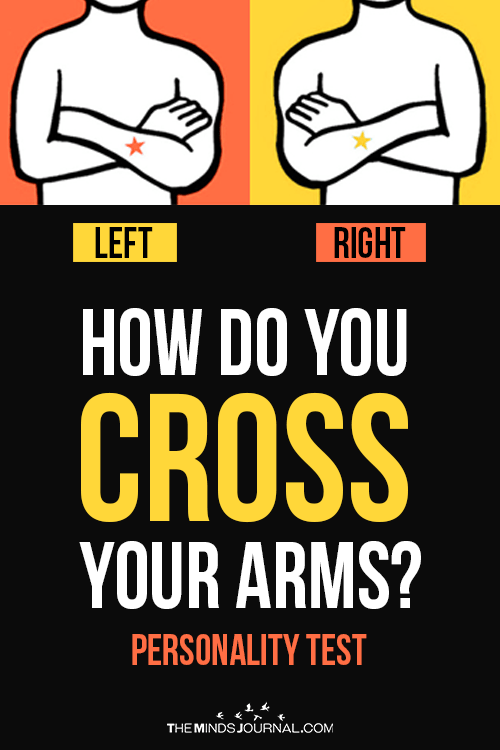 To find out, cross your arms, the way you always do and see, which arm do you place above the other. Is the left arms on the right one, or the right arm on the left one? This implies your right brain is more developed. Since the right brain is associated with cognitive skills like creativity, emotion, and intuitiveness, you are an artistic and spiritual person by nature. A lot of left-handers are right-brained. By profession, you are into art, politics, music, athletics or anything that is related to creativity and invention. Steve Jobs, Stephen Spielberg, Picasso. This implies your left brain is more developed. Since left-brain is dominated by logic, you are a rational human being. You are diligent and organized. Success comes easily to you. You also tend to be an animal lover. By profession, you are a lawyer or a banker or a scientist. Isaac Newton, Albert Einstein. Bill Gates.